Summer is here and the kids are out of school, now what? 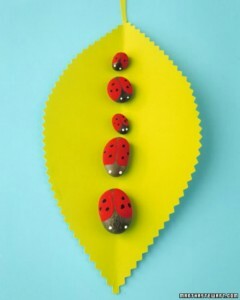 These fun and easy DIY projects are a sure fire way to keep your kids entertained and will keep them away from the TV. 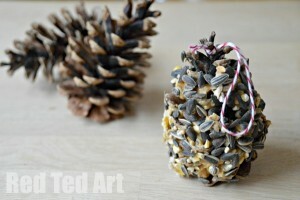 First, tie a string to the top of the pinecone. Then apply honey and then roll it in the birdseed. Then let your kids hang them on a tree and wait for the birds! While these are super easy to make, things can get a little messy. My suggestion is that you do this project outside to keep cleanup as easy as possible! 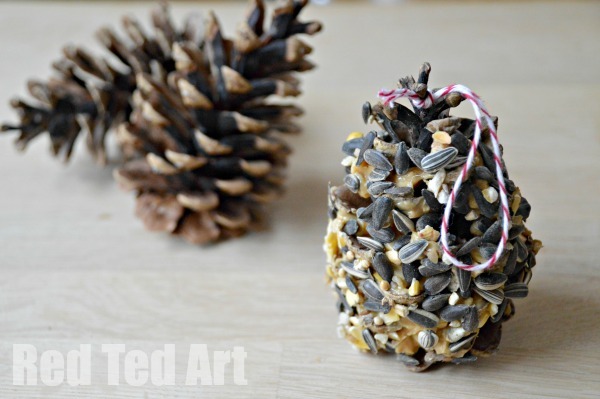 What you’ll need: Pinecones, honey, bird seed, string. This is a project that the whole family can enjoy together. Even if your kids have a larger age gap, just assign everyone a job to create fun and colorful rocks to brighten up the garden! While this isn’t exactly a DIY project, its still a fun and inexpensive thing that you can do with your kids. 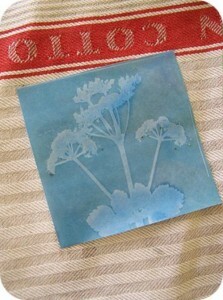 Take the little ones for a walk and collect different plants, rocks, feathers, etc, to experiment with. This project is perfect for the days its too hot or stormy to be outside. Simply recycle your old, broken crayons by putting them in muffin tins and baking them until they’re melted. Mix different colors together for new fun and colorful crayons. 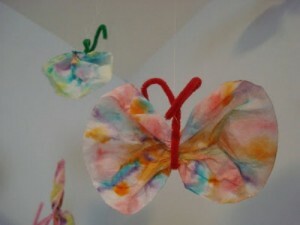 Perfect for hanging from the ceilings in your little ones’ rooms! Just let your kids color what they want on the coffee filter, apply the pipe cleaner, spray with water and let dry. 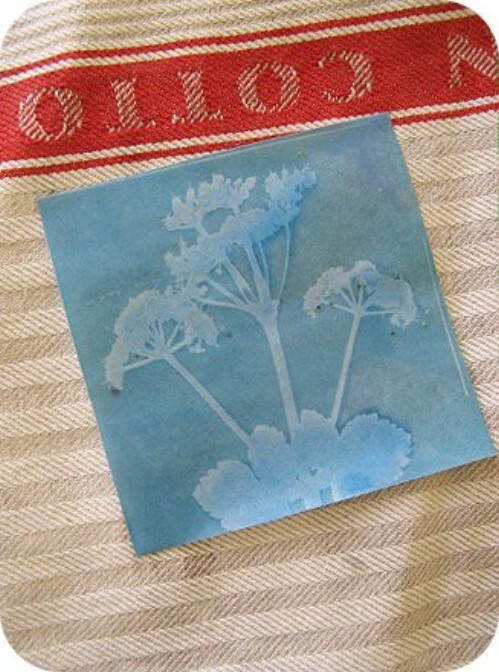 This easy project is fun for everyone. What you’ll need: Coffee filters, pipe cleaners, markers, spray bottle with water.